#1 New York Times Bestselling Author Philippa Gregory to Publish Four New Books with Touchstone and Simon & Schuster Worldwide | News and Corporate Information about Simon & Schuster, Inc.
NEW YORK, April 24, 2017—Philippa Gregory has signed a new four-book global publishing agreement with her longstanding U.S. publisher Touchstone and Simon & Schuster U.K. Three of the books will be novels, introducing a richly imagined, epic series, spanning generations of the Fairmile family, from the mid-1600s to the early 20th century, and the lands they inhabited, from West Sussex, England to Chicago, Illinois. The first yet-to-be-titled novel in the new series is scheduled for simultaneous publication by Touchstone, Simon & Schuster U.K., Simon & Schuster Canada, Simon & Schuster Australia, and Simon & Schuster India in September 2019. The fourth book will be a work of non-fiction, exploring the contributions of extraordinary, yet little-known women throughout the centuries, historically demonstrating women as agents of their own destinies. Audio editions of all four works will be simultaneously published by Simon & Schuster Audio. The new series marks a departure from Philippa Gregory’s perennially bestselling Tudor and Plantagenet court novels, which include such mega-bestsellers as The Other Boleyn Girl (2001) and The White Princess (2013)— both of which have been adapted for the screen. The author of more than thirty books, with more than 10 million copies of her books in circulation in North America alone, Philippa Gregory’s international bestsellers include novels such as The Other Boleyn Girl, which was adapted into a film starring Natalie Portman and Scarlett Johansson, The White Queen, and The White Princess – both inspirations for recent Starz series. Her first novel, Wideacre, was published in the U.S. by Simon & Schuster in 1987, making 2017 the 30th anniversary of the author’s relationship with the publishing house. Her final Tudor court novel, The Last Tudor, will be published by Touchstone in August 2017. Ian Chapman, Chief Executive and Publisher, Simon & Schuster U.K., acquired world publishing and audio rights from Anthony Mason, Philippa Gregory’s literary agent and husband who represented Gregory in the negotiation. 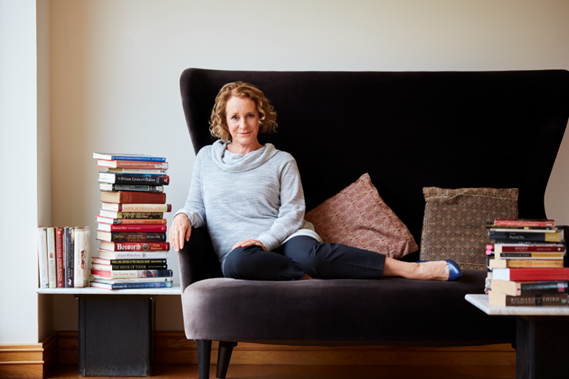 Philippa Gregory’s longtime editors Trish Todd of Touchstone and Suzanne Baboneau, Managing Director of the Adult Publishing Division for Simon & Schuster U.K., will jointly edit her future works.